The Drill Hall Emporium is more than the usual antiques store, it is an experience. Step within and you can feel the passion and love for antiques. Royal Oak (1840) and adjoining stables is now Evandale Antiques. Start your antiques-hunting for vintage treasures. 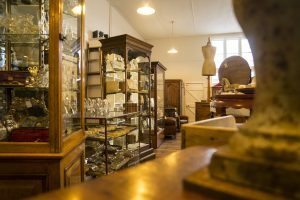 To understand the depth of Tasmania's antiques and collectables trade, you need to know a little bit about the island's history. Tasmania started as a penal colony and the prisoners were forced to build the early infrastructure of the state under the direction of aristocrats. That made a move to Tasmania fairly alluring to socialite Britains who could build luxurious estates using free convict labour. So, they came in droves in the 1800's toting some of the finest furnishings, silverware and art pieces in the world. And most of those original possessions are still here waiting to be discovered by a collector. Image thanks to Tourism Tasmania & Kathryn Leahy. That's what makes antiquing in Tasmania such a rush. You can find some of the rarest pieces on earth at an open-air market, in one of Tasmania's many historic towns or in a specialty shop. You never know what you'll find just around the corner. Hobart was a centrepiece to the original development of Tasmania, so you're likely to find great pieces there. 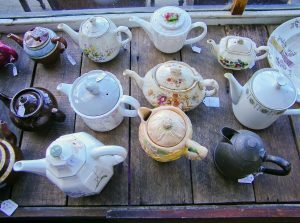 You'll find plenty of antique stores across Tasmania's largest city. 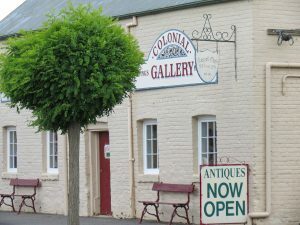 In fact, it's home to the Antiques Warehouse where you'll find Tasmania's largest display of antiques and collectables. Image thanks to Tourism Tasmania & Nick Osborne. Launceston, Tasmania's largest inland city, has two regular antique auction houses. But Tasmania's largest cities might be shopped dry, so you may want to turn your attention to the lesser known antique markets. Evandale, just 5 kilometres south of Launceston Airport, is home to the state's largest Sunday market. Peruse the massive open market for stunning finds in this historic little town. Then check out Evandale's own little antique shop on your way out. Image thanks to Tourism Tasmania & Kathryn Leahy. Ross is one of Tasmania's little gems. Originally an important transportation hub for those travelling between Launceston and Hobart in the 1800's, this little town is now lesser known because the modern road cuts around it. It's as if time has forgotten about Ross with its Old English Village feel. It even has a bakery using a 100+-year-old oven from the 1800's and it's where you just might find some of Tasmania's best antiques. Tasmania is isolated, so most of the treasures brought here from Europe are still here. You'll find Georgian and Victorian era furniture, silverware and art pieces. But you'll also be able to get your hands on some newer collectables from the 60's and 70's at a fraction of Mainland prices. But the most exciting thing about antiquing in Tasmania is that many of these pieces are coming to market for the first time. 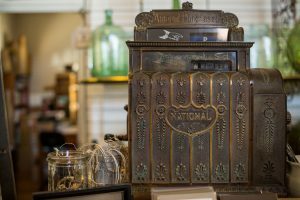 Antiques are handed down for generations, but the new generation might not see a need for them. That's when you'll find the best pieces at a shop, antique auction, estate sale, roadside shack or open-air market. Image thanks toTourism Tasmania & Rob Burnett. Where to find best pieces?